NASA scientists are set to initiate the next phase of Mars rover Curiosity’s mission, where it will drill rocks and analyze collected samples in its lab. That mission, however, could be jeopardized by the possible contamination of the rover. 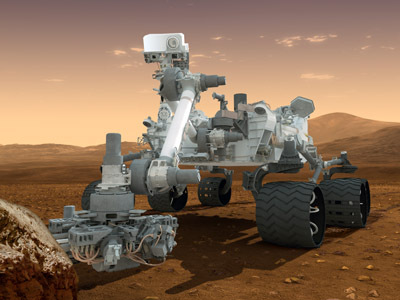 The six-wheeled, car-sized craft has yet to test its camera-equipped robotic arm’s ability to deliver rock and soil samples to a tray for analysis, NASA said. Scientists also hope to record footage of Phobos, one of Mars’ moons, as it passes against the sun. Jennifer Trosper, Curiosity’s mission director, said that the rover has "performed almost flawlessly." The next step following tests will be to "drive, drive, drive," she said. The mission’s long-awaited start was delayed last week when it was revealed that Curiosity may have been contaminated by bacteria from Earth. NASA engineers were concerned that the landing might damage the rover’s drilling mechanism, rendering it unable to open a box with sterilized drill bit and load it. So, shortly before launch, they pre-loaded a drill. NASA claimed the move was a calculated risk: It is unlikely that microbial stowaways made it to Mars on the piece of equipment, and even less likely that bacterium that did survive the trip could revive by attaching to water or ice samples collected during the research. ­On Friday, the rover is expected to hit the road and begin its journey to ‘Glenelg,’ located some 400 meters from its current position. Three types of terrain converge there, enabling Curiosity to drill for several different rock types and collect samples for study in its onboard chemical lab. 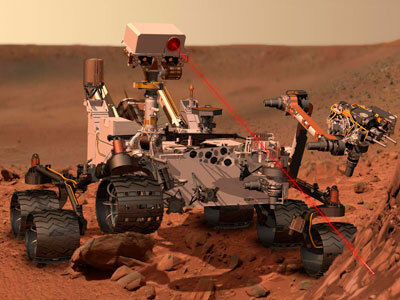 Previous test runs of the rover involved a 110-meter-long drive, and calibration of the robotic arm-mounted camera dubbed the ‘Mars Hand Lens Imager’ (MAHLI). The rover successfully operated the camera after opening MAHLI’s dust cap for the first time since landing on Mars. 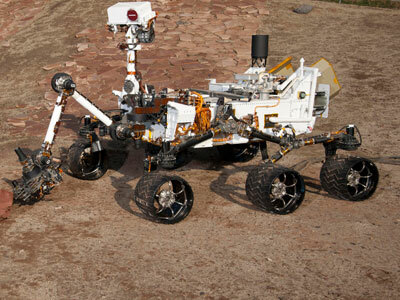 The Curiosity is part of a $2.5 billion mission by the Mars Science Lab. The project aims to study several locations inside the basin of the Gale Crater near the planet’s equator in a search for evidence that Mars was once able to sustain life. A particular point of interest for the mission is Aeolis Mons, a mound of rocks believed to be the remains of sediment that once filled the basin.